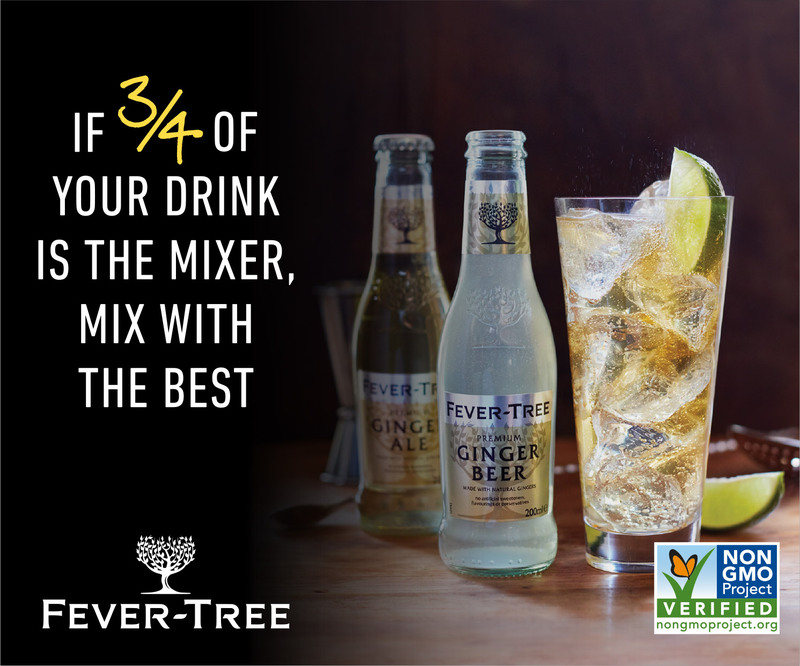 Just because cold weather has descended doesn’t mean you can’t drink your way to a little bit of sunshine this season. If you’re looking for a way to channel summer, these wintery tiki drinks will instantly transport you to paradise. 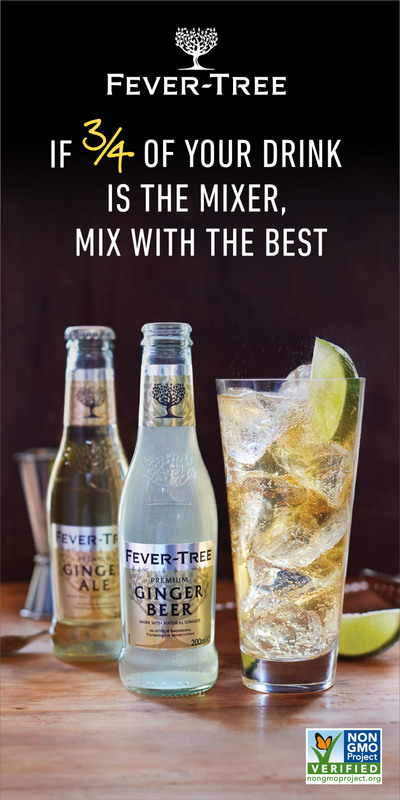 Their bright, tropical ingredients are met with rich rums and toasty spices to warm you up from the inside out. 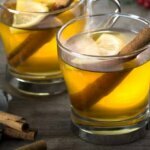 To help thirsty New Yorkers battle the cold, Sunday in Brooklyn launched their cozy winter pop-up, Snowday in Brooklyn. 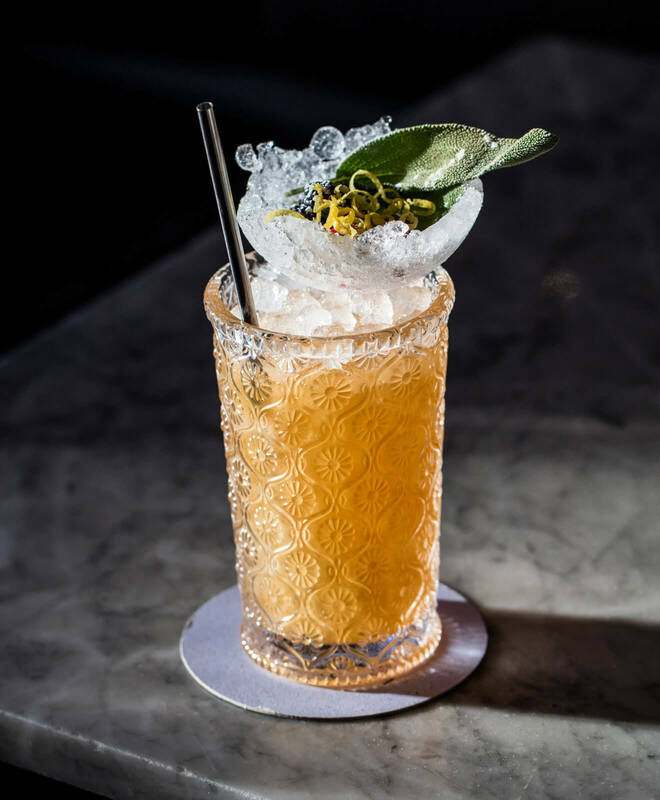 Inside you’ll find cozy snacks and warming cocktails from Brian Evans, who created this wintery, tropical tipple. 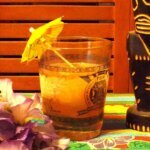 A brown butter-washed rum blend offers rich tiki flavors, while the sarsaparilla-apple cordial adds a seasonal touch. Preparation: Build ingredients in cobbler glass, swizzle with pebble ice, then top with more pebble ice. Garnish with with blackberries, cranberries, lemon zest, sage, rosemary and powdered sugar, if desired. Preparation: Heat butter on low for approximately 20-30 minutes until brown, stirring to keep solids from forming. Then, using a flat, non-reactive container, combine all liquors and pour warm brown butter on top of liquor. Blend/whisk for about two minutes, or until emulsified. Cover and let infuse for 12 hours, then place into freezer for another 24 hours. Finally, strain off all frozen butter fat and keep clarified liquor blend refrigerated in a sealed container. Preparation: Heat apple cider with sarsaparilla and cinnamon on medium heat for 15-20 minutes to infuse, then stir in sugar to combine. Let cool, then strain off spices and keep refrigerated in a sealed container. Preparation: Add all ingredients, save for the flower, to a shaker tin with ice. Strain into a Collins glass and fill with crushed ice and stir to incorporate. Top with more crushed ice and garnish with an edible flower. The name of this classic cocktail refers to Morse code for the letter V, which was used to symbolize victory during WWII. 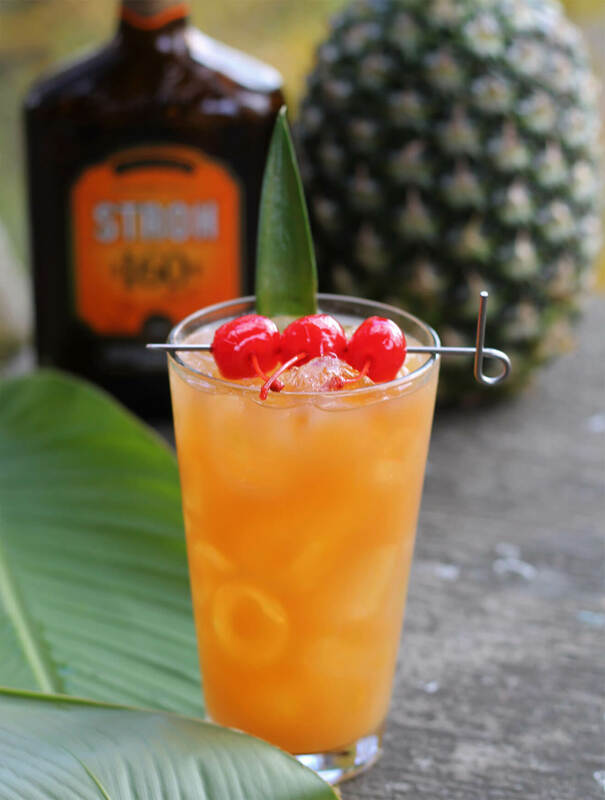 The folks at STROH 160 Rum are currently mixing up this tropical libation to #TikiTheSnowAway, and we’re more than happy to follow suit. 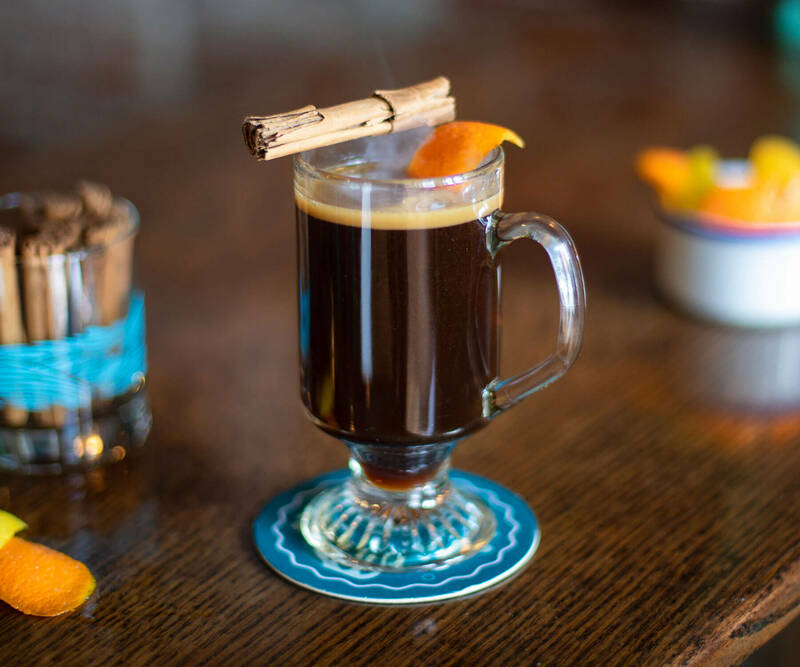 While lime and orange juice add brightness, dark demerara rum and allspice dram add deep, rich notes that make this drink perfect for cold weather sipping. Preparation: Place one cup of crushed ice or small ice cubes in a cocktail shaker. Add STROH 160, Bärenjäger, honey syrup, dark rum, lime juice, orange juice, Velvet Falernum, allspice dram and Angostura bitters. Shake vigorously until thoroughly chilled, about 30 seconds, and pour entire contents into a Pilsner glass. Thread cherries on a pick, and place in the drink with a pineapple frond. If you’re ever in the Pittsburgh area, you have to visit Hidden Harbor, which happens to be one of our favorite tiki bars in the country. 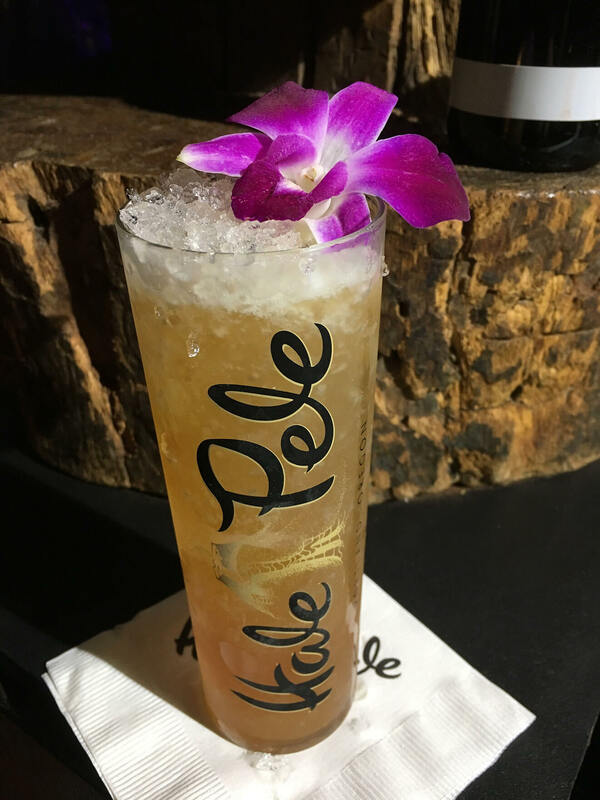 Adapted from the Kona Coffee Grog that’s been served at Mai-Kai in Fort Lauderdale since its opening in 1956, sipping this drink is like putting on a wooly, rummy sweater. 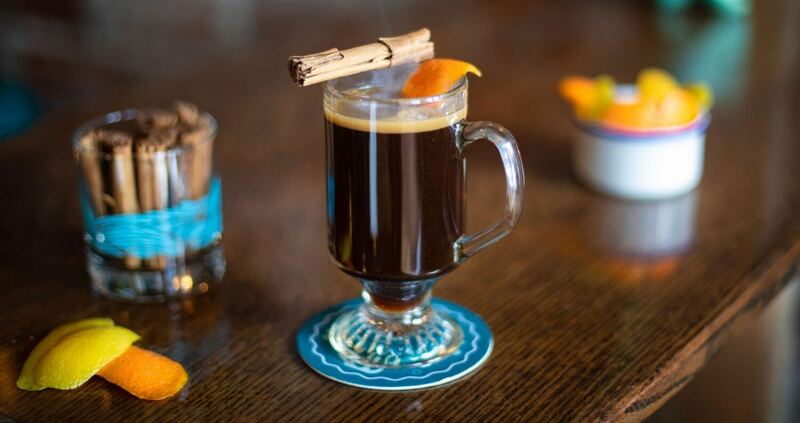 “It’s wintry, in the sense that it’s quite literally hot to warm the belly and has pleasant Caribbean baking spice notes,” says owner Adam Henry. 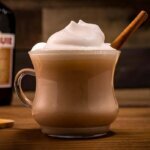 Preparation: In a tempered glass mug, build rums and Gardenia Mix, top with hot coffee, and stir gently to incorporate. Drop in an orange twist, lemon twist and Ceylon cinnamon stick. Preparation: Heat all ingredients together in a pan until butter is liquified. Cool, bottle and keep at room temperature (the mix will “lock up” if refrigerated).